From our beginning Staab Construction has performed the mechanical construction on our various projects. This work consists of Process Piping systems, including DIP, HDPE, FRP, Copper, Concrete, PVC and fabricated Stainless Steel installations. These installations include both potable and non-potable water, chemical feed, air systems, digester gas systems, sanitary & storm sewer, gas, geothermal and other installations. Our qualified crews also install many types of equipment required at both Municipal and Private Water, Wastewater and other facilities. 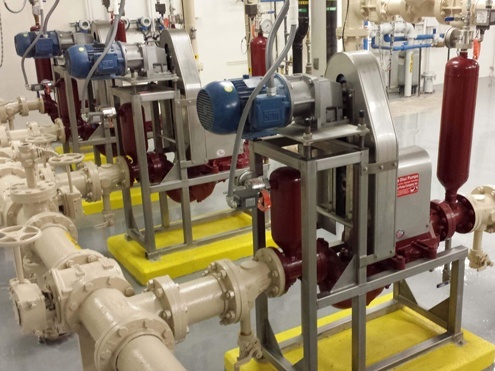 These include systems for Pumping, Pre-treatment, Processing, Filtration, Tertiary, and Discharge. Our work has been with some of the smallest customers to some of the Mid-west’s largest treatment facilities.